Beautiful Cottage Break in Devon just £47 each !! How about heading down to the beautiful Devon Coast and enjoying a little break in an outstanding cottage for a few nights. This great deal over at Travel Bird is available on various dates right through until the end of of the year which you can check out HERE. 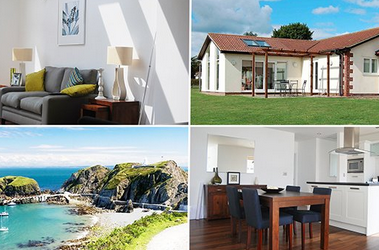 Where better to spend some time away with the family than the spectacular Jurassic Coast? Whether you’re enjoying dramatic cliff-top walks, relaxing on the sandy beaches or taking advantage of one of the nearby family attractions, you’re sure to have an unforgettable and fun-filled break. Your fully equipped cottage has everything you need for your self-catering stay and is close to the charming seaside village of Sidmouth. What are you waiting for? Book now and look forward to some quality family time in beautiful Devon!